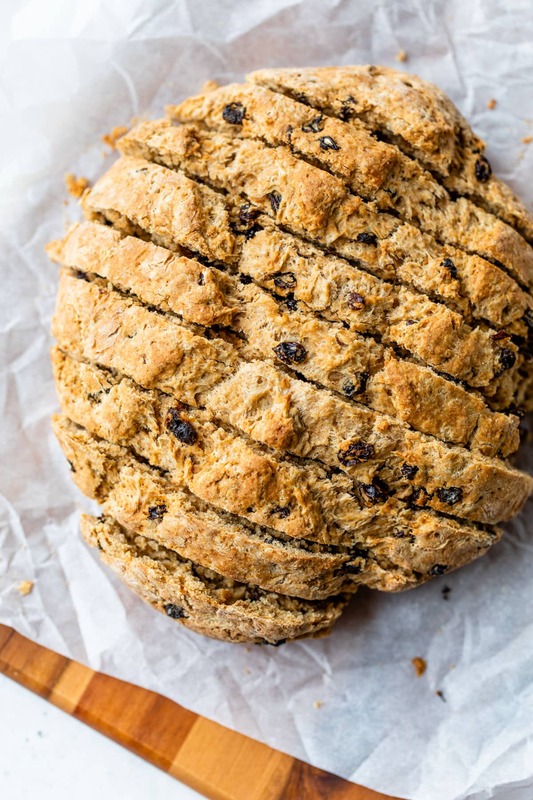 As a gal who grew up in an Irish Catholic family, still oohs and awes over rainbows, and considers whiskey a pantry staple, I look forward to St. Patrick’s Day every year. Tonight, I’m bringing this One Pan Cabbage and Sausage Skillet over to a like-minded friends’ house for a St. Paddy’s feast. On the agenda: slurping green beer and singing old Irish drinking songs. Wait, that was college. Tonight, we’re going to sip Jameson cocktails, nibble Irish cheddar, and put their daughter to bed by seven. Then, we’ll turn our attention to this killer, one-pan cabbage and sausage recipe, accompanied by Guinness, followed by Irish Whiskey Ice Cream. I can’t wait. Cheers to parties in your late 20s/early 30s: the food (and drinks) are better, the beer won’t stain your teeth, and everyone stays to help clean. 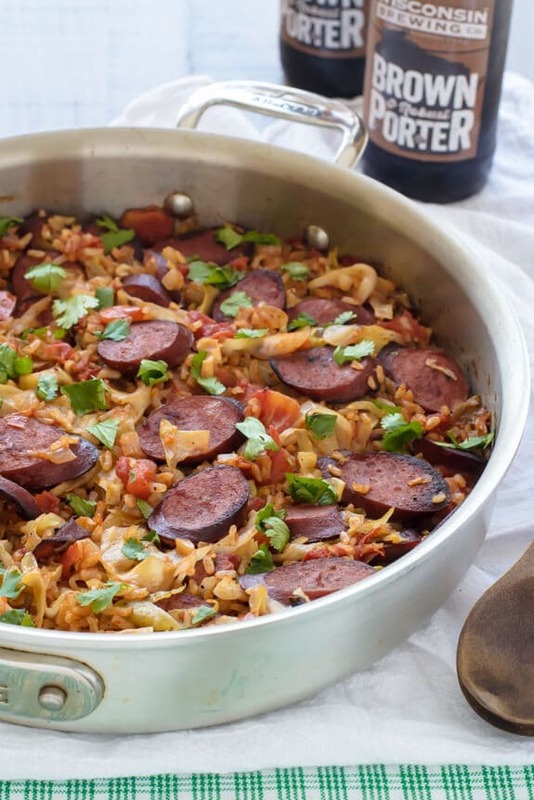 If you don’t have a St. Patrick’s Day celebration of your own planned for this evening—or if you currently have no dinner planned at all—you still have plenty of time to add this One Pan Cabbage and Sausage Skillet with Rice to your menu. It’s only seven ingredients (nine if you are a stickler and count salt and pepper), is hands off, and cooks entirely in ONE pan. Now that is my kind of meal! Although potatoes are the vegetable most quickly associated with Irish fare, I’m going to argue that cabbage deserves a turn. Most of the year, this bald-headed vegetable is doomed to be shoved into the bottom bin at the grocery store, somewhere between the trendier kale and cauliflower. On a good day, cabbage can aspire to be smothered with mayo and dubbed coleslaw or pickled and renamed sauerkraut. Rarely do we enjoy cabbage as simply “cabbage,” with the exception of St. Patrick’s Day. 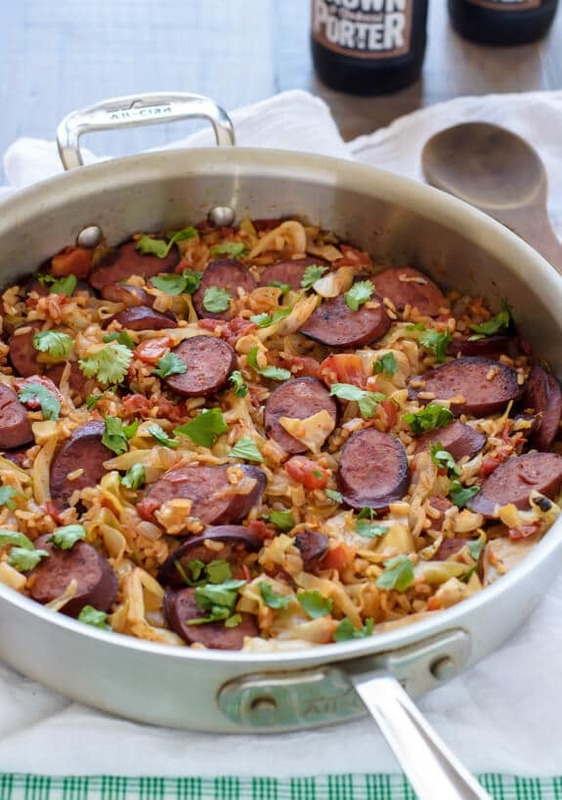 In tonight’s Cabbage and Sausage Skillet, the cabbage adds a light bite beside smoked turkey sausage. Making this recipe is as simple as sautéing these two ingredients together with onion, adding brown rice and fire roasted tomatoes, then covering the pan. Twenty minutes later, dinner is served. Although I’m sharing this recipe in honor of St. Patrick’s Day, One Pan Cabbage and Sausage Skillet is an ideal meal for any night when you need to put a healthy, hearty dinner on the table but are in no mood for dishes (ahem, just about every night of my life). 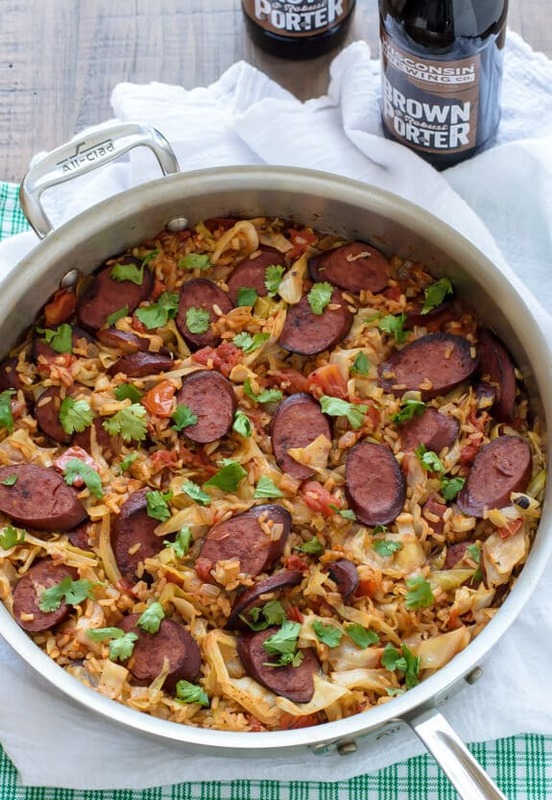 Yes, the cabbage and sausage add a special St. Patrick’s Day charm, but the fact that this all-in-one recipe includes lean protein, veggies, whole grains, and only requires one pan to cook launches it into the year-round, go-to recipe category in my book. Happy St. Patrick’s Day everyone! May it be filled with plenty of luck, a little extra charm, and as few dishes to wash as possible. 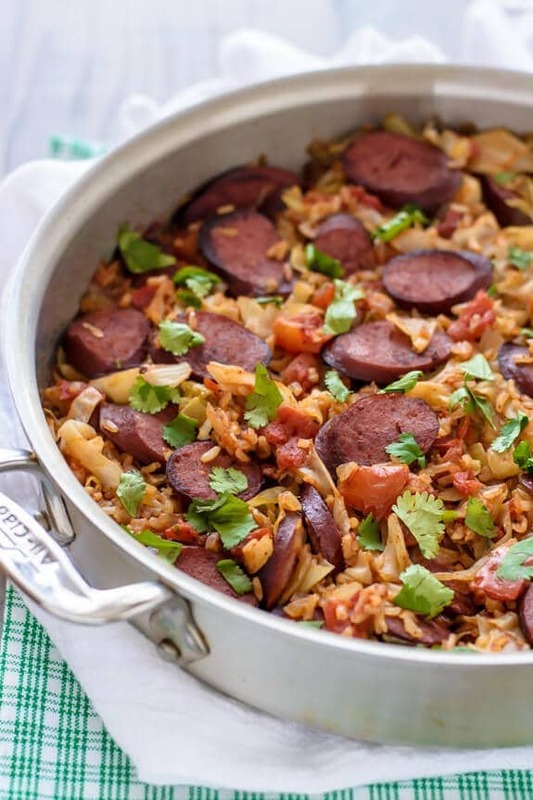 An all-in-one meal of cabbage and sausage cooked together with tomatoes and rice. An easy one-pan meal that's warm, comforting, and a family favorite! Heat 1 tablespoon olive oil in large nonstick skillet on medium-high heat. Add the sausage slices and cook for a few minutes on each side, until brown. Remove to a plate, blot with paper towels if needed, and set aside. With a paper towel, carefully wipe out the skillet. Heat the remaining 2 tablespoons olive oil on medium high. Add the cabbage, onion, salt, and pepper and cook until the onion begins to soften and brown, about 5 minutes. Add 1 cup of the chicken stock, cover, and reduce the heat. Simmer for 10 minutes, then add the remaining 1/4 cup chicken stock, canned tomatoes in their juices, and rice, stirring well. Bring to a boil, stir again, then cover and simmer on low heat for 5 minutes. Stir in the reserved sausage slices, mixing well, then re-cover and remove from the heat. Let stand 5 minutes, until most of the remaining liquid is absorbed and the rice is tender. Serve warm. Um, high-five for skillet recipes today! 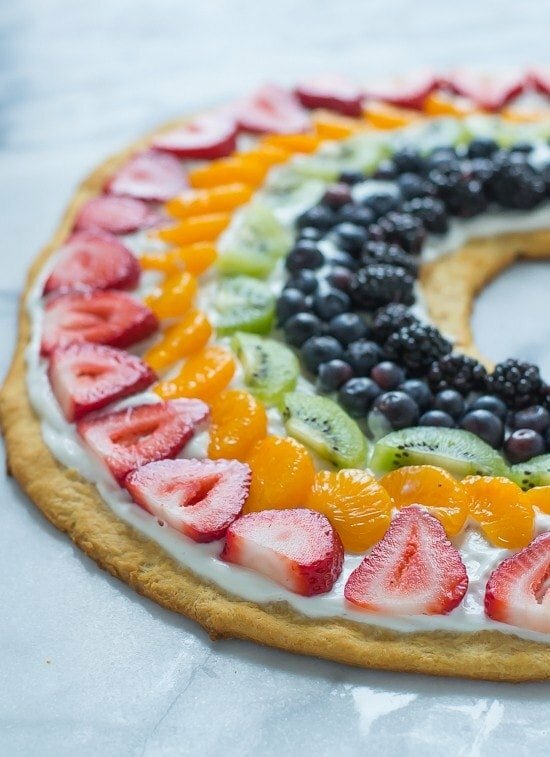 This looks amazing, friend! 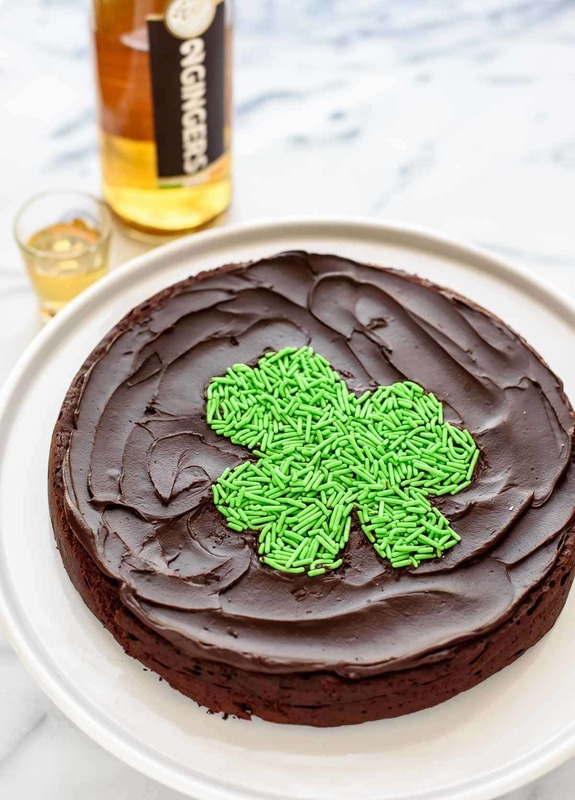 Oohh I might make this for St. Patrick’s Day! This looks so good!! Cabbage!! The underutilized and often ignored veggie. I have this one recipe that uses it as a pasta, slicing it into thin strands then sautéing it with cream giving it a linguini-like appearance. It’s a beautiful thing. Lets bring cabbage back! Girl your dinner skills are off the hook! Umm yum!!! I think I could totally be friends with cabbage if it were presented to me like this! This sounds really great. I like sausage and cabbage together – actually have a recipe for a soup with those ingredients. The one thing I would do differently is to cook some real brown rice – I just don’t do instant. Looking forward to making this. This would be great with long grain brown rice Susan! I use instant in a pinch, but the long-cooking kind would make it even better. My husband legitimately enjoys cabbage as cabbage. I grew up never having this stuff. This dish looks like a great compromise. I totally agree Emily! It has lots of flavor, so even if you aren’t familiar with cabbage, I think that you would love it too. I love how you are giving cabbage some attention! I also like using cabbage on fish tacos- it adds such a nice crunch to things! Yes Shelby! Cabbage is great for fish tacos, and I even love it on my chicken tacos too. You are making me hungry now! hmmm, I have a head of cabbage and some sausage that I just bought yesterday…what to do? :) This looks awesome Erin – perfect for a weeknight meal which is just what I had in mind with those ingredients and one-pot too! Yay! Oh this sounds really good!! Yummy for my Tummy!! I grew up eating cabbage on a weekly basis (Kielbasa and Cabbage was one of my dads signature dishes) and I still love it! Absolutely trying this recipe!! I actually happen to love cabbage and don’t just break it out around this time of year. It’s such a weird ingredient to have an infatuation with, but I totally do. I love that you’re letting it shine here! Looks delicious! reminded me of a pizza when i first saw the post. looks delicious! I discovered your blog when I googled “Brandy Old Fashioned.” I grew up in Wisconsin and am planning a visit to my parents and want to mix up a Brandy Old Fashioned for them – their favorite. I enjoyed reading your blog, it was entertaining and nostalgic at the same time. My daughter just started her first year at UW Madison. We too have fallen in love with Madison – Farmers Market, Sardines and Graze just to name a few. You are now on my blog list to follow! Love one skillet meals! Especially this cabbage and sausage version! Pinned! Yum! I’m excited to see this. I make cabbage with sausage and egg noodles pretty regularly, but never thought to try rice. I love that it’s all in one pan – I think I’ll have to make this for dinner this week. Tasted really good, love the flavor! Question, mine was very liquidy when I was done, what did I do wrong? Hi Lauren! I’m so glad the flavor turned out, but sorry that it was liquidy. My guess is that it might just be a difference in the brands of rice we purchased or the heat of the skillet. If that happens again, sometimes you can crank up the heat and cook off some of the liquid. Regardless, I hope that it still turned out to be a great dinner for you! Love this dish! It was great just throwing everything into one skillet. The flavors are great! After adding 1 cup chicken stock, I could tell that the dish was a little liquid-y so I did not add the addition 1/4 cup of stock. I also added a little cooked white rice I had in the refrigerator to absorb the excess liquid. Overall great dish! Philene, I’m so happy to hear that you enjoyed it! Thanks for taking time to leave your review. It truly means a lot! I made this today using turkey kielbasa. I did not have the fire roasted tomatoes so I used diced tomatoes with garlic and added crushed hot peppers. It was delicious! I’m so happy to hear that you enjoyed this recipe! Thank you so much for trying it and letting me know. Have a great day! Any advice about how to adapt this recipe to use non-instant brown rice instead of instant rice? Should I just let it sit longer after I remove it from the heat? Thanks for posting – we love cabbage and I’m excited to try it a new way. Greetings from Madison! Hi Alyson! I’ve never made this with regular long grain brown rice, but I think that you would need to simmer the rice in the liquid for considerably longer (up to 45 minutes depending upon your rice), and you would likely need more liquid too. I’m worried the cabbage would become soggy after simmer for this much time. One idea is to cook the cabbage separately, then stir it together with the rice at the end, along with the sausage. I’m sorry I can’t give you more specifics—it’s just hard for me to say exactly, as I’ve never made the recipe this way! 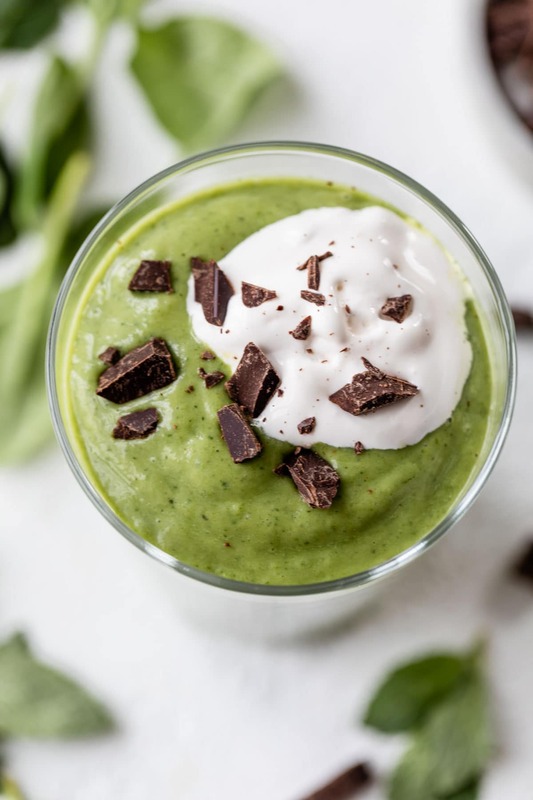 Do you happen to know the nutrition facts for this recipe? Chrystina, unfortunately I do not have nutrition facts available for this particular recipe. If you are interested, you can calculate them for free at myfitnesspal.com. I do have them available for all of my newer recipes—I just haven’t been able to get all of the past recipes updated. Thanks for understanding, and I hope you love the dish! When I saw the pic of this dish, I knew it would be the first recipe I tried in my attempt to begin cooking more. We tried it and it was incredible! My husband wanted it again for lunch the next day….and it was consumed. I’ve been reading your recipes and they look amazing….great motivation to make the effort in time and energy to cook. Thank you for sharing your gifting with us…with excellence. I am SO happy to hear that you and your husband enjoyed this! Thanks for taking time to let me know—it’s so helpful to others, and I really appreciate it too. I hope you love the other recipes you try just as much! Cabbage and rice is a very good combination! I usually eat them in dumplings, European style :) Like, you know, cabbage leaves wrapped around a ball of rice with meat and stuff! Boy, your recipe is almost like that, but easier to make and fast! oh yummy! This would be so good! 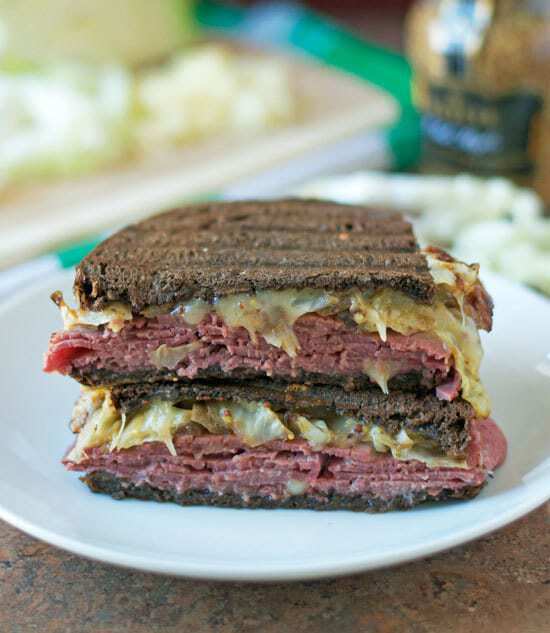 I came across this recipe a week or 2 ago and this happens to be what I’m having for dinner to celebrate St Patty’s Day! YAY! Happy St. Paddy’s Stephanie. I hope you love the recipe! This reminds me of a dish my Mom used to make (passed on from my Polish grandmother) so thanks for the smile that brought back memories! This looks so so good. A step up from my usual weeknight eats! I’m coming to this recipe very late because we were out of the country until a few days ago. This one would be good all year round, and it’s especially on my list for later this summer for cooking at the beach where my kitchen is a microwave and an electric skillet. Maybe by then I’ll be able to deal with the tomatoes (I am thoroughly sick of them right now). Just out of curiosity, is there anything you can think of that I could substitute for the tomatoes? I’d love some ideas. By the way, for me, cabbage is a year ’round veggie. I do make coleslaw, though without mayonnaise, but I also love it steamed with a little butter. Yum! My niece went grocery shopping for lettuce and brought back cabbage! Hmm, green right? So I tried the cabbage, sausage & rice skillet recipe. Doubled for 8 people. Everybody loved it and teenage nephews went back for thirds! Great recipe! Connie, it sounds like a happy accident! I am so happy to hear you all enjoyed this so much. Thanks for trying the recipe and leaving this kind review! Had a head of cabbage from a CSA share. My husband said he’s not a big fan, but I can make anything taste good. He was a fan tonight! I probably used less sausage and I only had regular canned tomatoes, but still very very good. YAY Sarah! I’m so glad to hear the recipe was a hit. :) Thanks so much for giving it a try and reporting back! 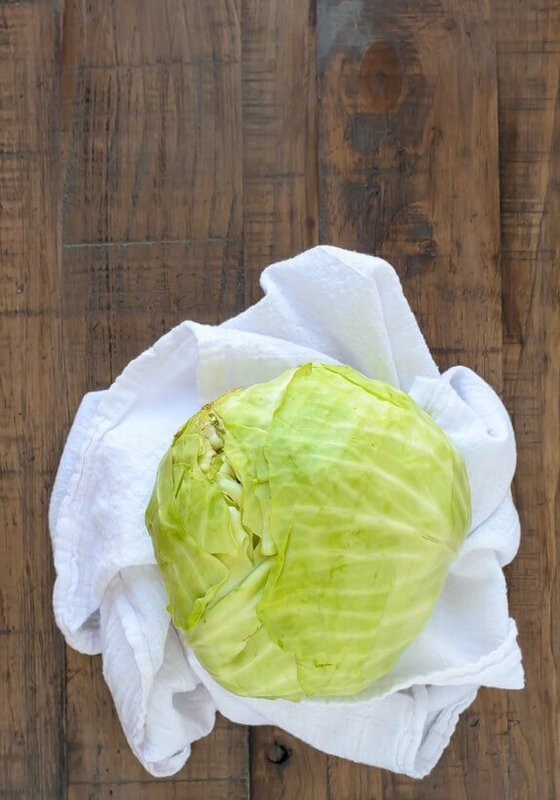 I have been trying to find more cabbage recipes to make at home since it is not a common ingredient in our house, and this one is perfect for that! I am definitely going to try veganizing this, thanks for the inspiration! You are so welcome Jasmine! I hope you love it. It was delicious! I also put thinly sliced zucchini and yellow squash that I had in the fridge. Used long cooking white rice as I did not have brown rice or instant brown rice. It may not be the Irish dish it was intended to be, but it definitely is a meal that will be made again in this house. Tammy, I am so so happy it is a repeat recipe for you. Thanks for leaving this review and sharing your adaptations too! Sarah, I am so so happy to hear how much you all enjoyed it, thank you! !